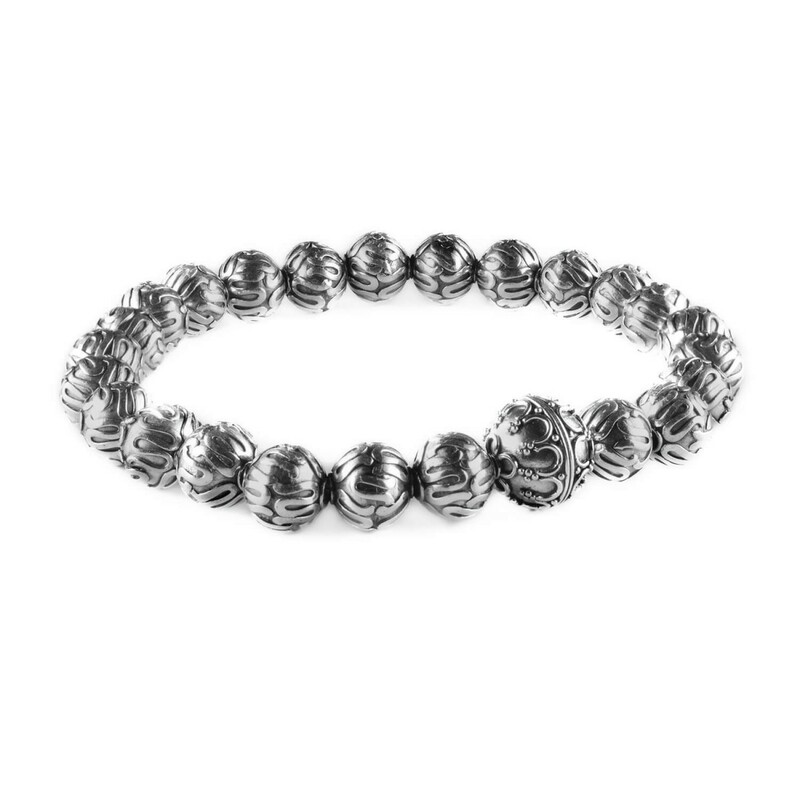 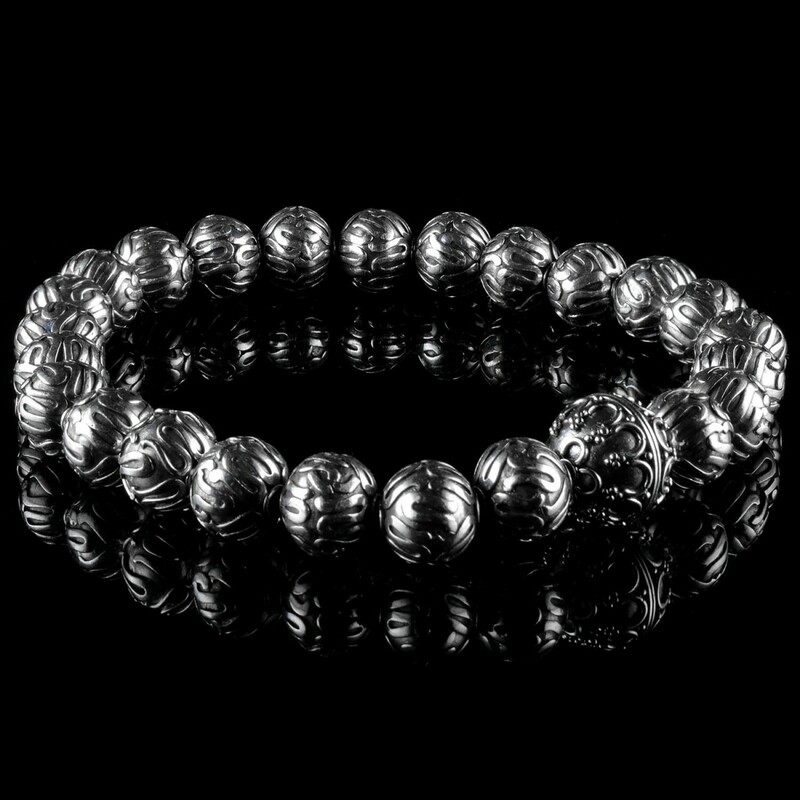 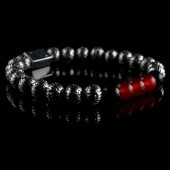 Classic handcrafted 8mm sterling silver beads with 10mm focal bead. 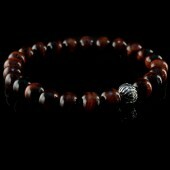 You'll be wearing an exceptionally unique piece of wristwear. 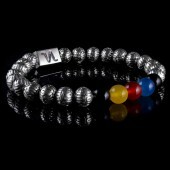 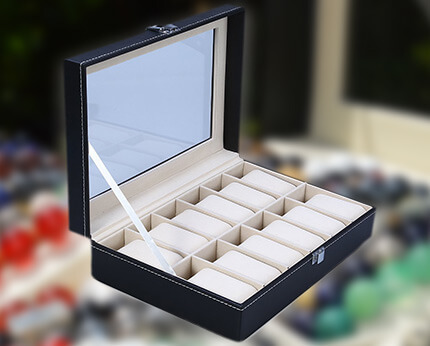 Your bracelet will be made exactly to match the size you enter with your order so please make sure to measure well. 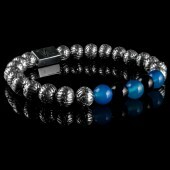 This bracelet is double wired with two 1mm elastic silicon, sturdy, durable and strong.